In an interview with MTV, Chris Pratt has revealed filming of the new film will get underway in January of 2019. The Marvel juggernaut keeps on rolling; in spite of the events that transpired in The Avengers: Infinity War (and no, we’re not spoiling anything), Marvel continues to release films at a clip. AntMan and Wasp sees release next month and next year Captain Marvel, Infinity War Part 2 and a new Spiderman film are all slated to wow audiences. Now, we can confirm that Guardians Of The Galaxy Volume 3 is a going concern. Well, we can’t… but actor Chris Pratt can and he has. “I’m slated to film Guardians of the Galaxy Vol. 3 in January, so we don’t know yet, time-wise, where that lines up,” Pratt told MTV. “I’m hoping it’s not the last time you’ll see me [in a Marvel Universe film], but I can’t be sure. 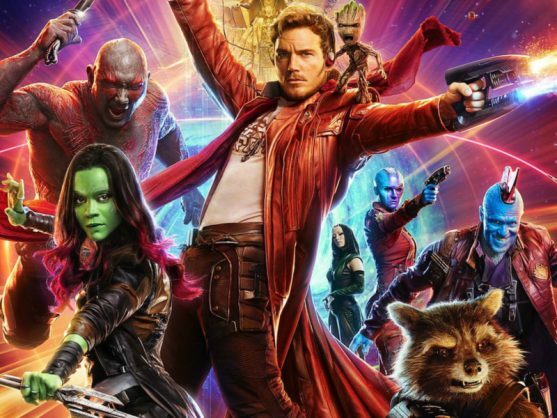 This seems to back up writer/director James Gunn’s revelation that he’s been working on a GOtG screenplay and that the movie should see release sometime in 2020. Of course, if you’re one of the many, many people who watched Infinity War, you’ll know that this news – and the news of a sequel to Spiderman: Homecoming – throws a little cold water on the ending of the last Avengers movie. Still, if that means we get more Marvel Universe films, we won’t argue.